Select media coverage that #TakeTrumpTower has received. "Environmental activists held a rally inside Trump Tower in New York City on Tuesday, ahead of an expected decision from the president on whether to leave the Paris climate change agreement." "While the skyscraper’s commercial restaurants and shops are touted, it takes detail-oriented vision for a visitor to spot a sign that mentions the “gardens.” Talen and others want to use the space for its intention — open space for the people." 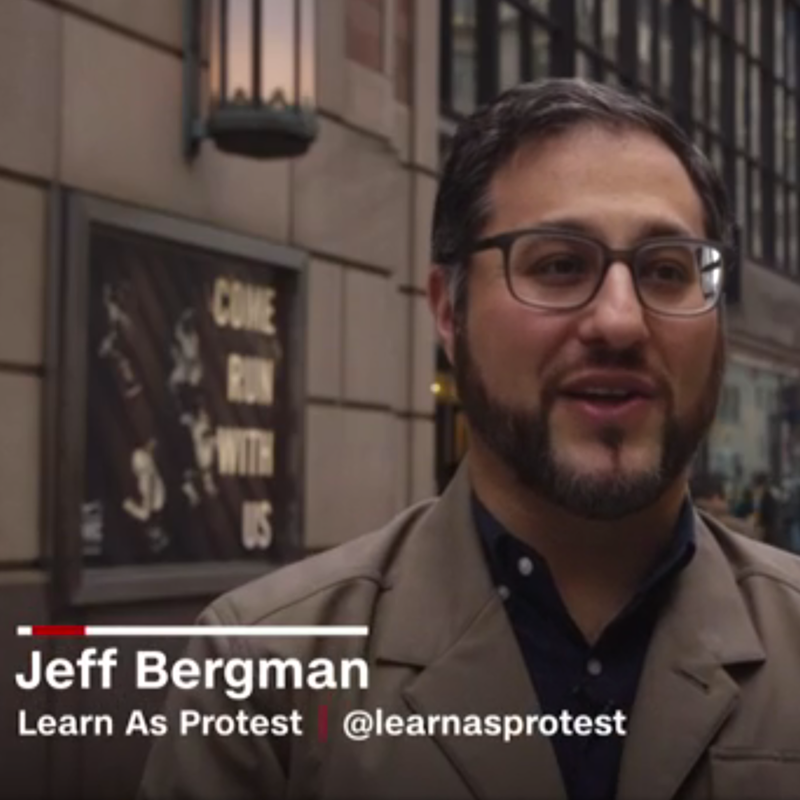 "One man is protesting Donald Trump's election by staging public teach-ins and reading aloud from books on social justice in the lobby of Trump Tower." "Activists are taking advantage of privately owned public spaces inside Manhattan's Trump Tower by holding teach-ins and protesting against President Trump's policies." "Denied access to Trump Tower public space, protestors still hold affordable housing teach-in." "#TakeTrumpTower activists are occupying privately-owned public space and fighting the powerful interests Trump represents in the process. We speak with 350.org Executive Director May Boeve, civil rights attorney Samuel B. Cohen and Jamie Tyberg of New York Communities for Change." "On Thursday, activists organized by the pro-labor and sustainability group Align Climate Works for All traveled past security in pairs up the escalators at Trump Tower.